Home LATEST ARTICLES How to fill VITEEE 2019 Application Form? How to fill VITEEE 2019 Application Form? 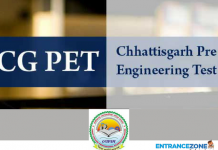 VITEEE 2019 is conducted by Vellore Institute of Technology (VIT University) for admission into various Engineering Courses at the different campuses. Application Forms are available from 01 November 2019. Candidates can visit the VITEEE official website and register Online for VITEEE 2019. Candidates are advised to check the information brochure and confirm their Eligibility before applying for VITEEE 2019. Applicants should fill all the details carefully in VITEEE 2019 Application Form because any discrepancy might result in the rejection of the candidate. Important Notice – Indian Aspirants will not be able to pay the registration fee through Demand Draft. They can only pay the Registration amount of Rs 970 through Online Net Banking or Credit Card. Candidates buying the Application Form from the University or Designated Post Offices will have to pay Rs 990 in hand. How to fill the VITEEE 2019 Application Form Online? How To Fill Offline Application Form VITEEE 2019 ? The Steps to fill the VITEEE application form is given below. The official Website link is given at end of this page. Candidates will have to click on “Register” and enter the details such as Name, Date of Birth, Gender, Nationality, Email Id, Mobile Number, etc. Candidates will receive an Username and Password after registration. They will have to log in using the same to fill the VITEEE 2019 Application Form. Details to be filled in an Application Form. Year of Passing the Qualifying Examination. Marks Obtained in Class 12th. Desired Branch if qualified in VITEEE 2019. Further, candidates will have to upload their photograph and signature as well in the format prescribed in the online registration portal. 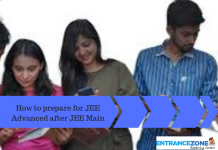 Candidates will have to pay the required fees for applying for VITEEE 2019. NRI Candidates can pay through Demand Draft which will cost them $50. Also, Demand Draft should be drawn in favour of VIT University, Payable at Vellore. However, aspirants who buy the VITEEE Application Form offline from the University or Designated Post Offices, they will have to pay Rs 990/- in cash. OMR completed application form should sent to the Director UG Admissions, VIT University, Vellore-632 014 by post. Correction facility will be provided by University soon after the completion of the application form. Candidates can get the offline application form from thr VIT University campus or designated Post offices throughout the Country. Candidates can buy a Kit containing, The offline Application/ OMR form, prospectus, information brochure and an envelope from Post office. Pay the Application Fee by DD (Demand Draft) in favour of the ‘VIT University’ payable at Vellore. Candidates can also get the offline Application form by posting a DD in favour of VIT University payable at Vellore. The letter should be posted to ‘Director – UG Admission , VIT University , Vellore- 632014’. Candidates will have to send the request for OMR along with the DD. VIT admissions office will send the offline application form only after receiving DD. At the back of the DD, candidates must write their Names, Mobile no. and Postal Address. The completely filled OMR Application form can be post to the address given below. As OMR is machine readable, handle the OMR sheet carefully. OMR sheet will not be scanned properly in case of any physical damage to the sheet and will also result in rejection of the application form. Use only black point pen to fill the details, and only Capital letter should be used. Use a pencil to shade a circle. Do not write anything over the Barcode. Affix the photograph properly in the space provided. The photograph must not be attested. Take a copy of the filled Application form for future reference. 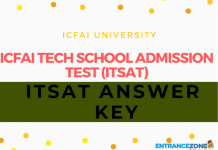 The VIT University conducts VITEEE 2019, an undergraduate entrance exam for B.Tech. Admissions 2019-2019. furthermore, the university runs 36 UG courses including B.arch. Whereas B.Arch. Admission is based on NATA 2019 Test. Candidates can see more details regarding VITEEE 2019 on EntranceZone. Atharva, VITEEE will be conducted online from April 5th to April 16th. There will be three slots each of 2.5 hours. Is there only the online way to appear for this exam?